EPR is delighted to announce that The Ned, our collaboration with Soho House & Co and Sydell Group, has been crowned as The AHEAD Europe Hotel of the Year 2017. EPR Architects were Lead Designer for this ambitious project which converted the former Midland Bank into a stylish destination venue in the City of London. The 5 star hotel and members club was also awarded Best Event Space, Best Restaurant and Best Spa at the ceremony at Westminster's Park Plaza. AHEAD, the Awards for Hospitality Experience and Design, celebrates hotel design worldwide and is judged by a panel of leading hoteliers, architects and interior designers. The judges praised the scheme for its holistic approach in successfully transforming a challenging historic building, describing the hotel as "an incredible achievement from vision to implementation to operation". Picking up an award in the Event Spaces category, the design team were praised for allowing "the grandeur of the original building to speak” and for “creating a unique setting for meetings and events". 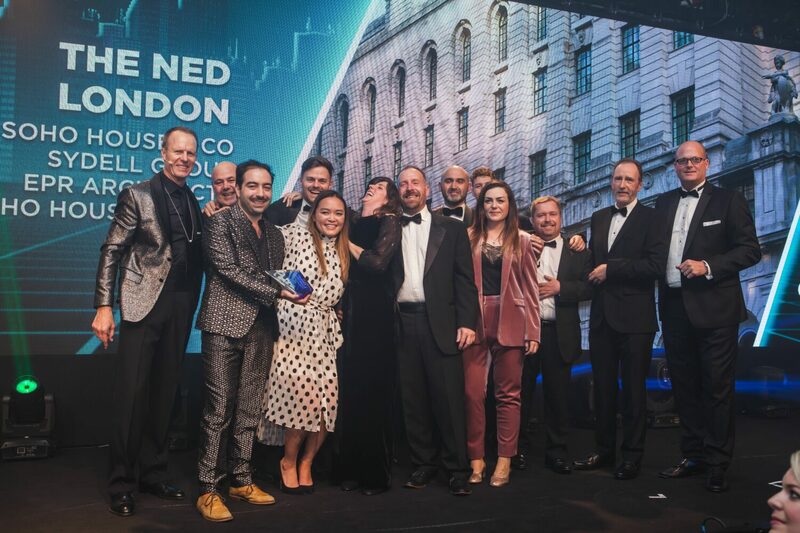 Winning Best Restaurant, The Millie's Lounge was applauded for its use of the venue's original banking counters and columns, along with a "phenomenally successful F&B operation, on a scale that few could challenge". The hotel's spa, Ned's Club Relax, was also awarded in the Spa and Wellness category, impressing the judges with its "scale and variety of health and leisure facilities". To end an incredibly successful evening for the design team, the hotel was named Best Hotel in Europe, winning the ultimate accolade of AHEAD Europe Hotel of the Year. "Since opening in April, The Ned has transformed the City of London by offering an entirely unique experience, making it a genuine destination district. The project has been a huge success and an exemplar of hotel design of which we are extremely proud. We wish to extend our congratulations to the whole team".